If you are travelling to attend a concert, it is likely that you are hoping for a great night by playing the band or artist’s discography. It is even more fun if you are travelling with your friends on a music-filled road trip. Travelling to the concert venue is a common pre-game concert ritual to get you and your friends in the right mood for the big night. You can sing along to your favourite songs at the top of your lungs and take silly photos and videos of each other. While it can be fun and give you pleasant memories, driving can be tiring, even if you plan to take turns behind the wheel. If you are going to an unfamiliar destination, you could even get lost and arrive late. Instead of driving you and your friends to the concert, hire a minibus charter for a more convenient and comfortable experience. Minibus and coach companies will discuss the details of your itinerary to make sure you arrive on time. Minibus and coach drivers have a firm grasp of the locality’s roads and traffic condition. This enables them to manoeuvre around the city with ease and avoid high traffic routes. Their knowledge also allows them to drop you off at the venue’s entrance nearest to your seats, reducing your time to find your spot. Mona Vale Coaches is the company to call when it comes to high-quality minibuses and coaches for hire in Sydney. More than just a transport service, we are committed to providing a convenient travel experience for you and your friends. Travelling together and not in convoy lessens the likelihood of you and your friends being split up. The night would run just as it should. As part of our safety priority, we utilise RMS/RTA Inspectors to make sure our services function to the highest standards. Each of our coaches and minibuses comes with full accreditation by Transport NSW. We accommodate special requests as well for you and your friends. If you wish to be picked up or dropped off at a hotel, that is no problem. We can accommodate your requests for competitive rates against other leading transport companies. 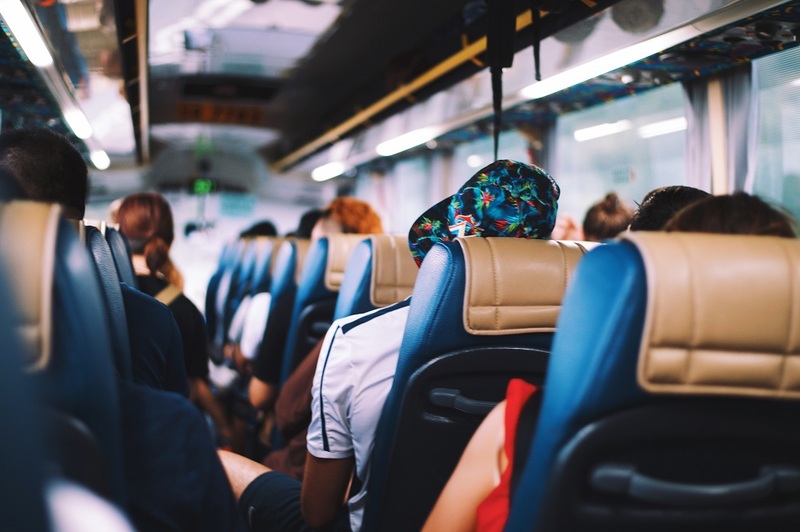 Trust Mona Vale Coaches to take you to your next event, and we will guarantee a worry-free trip where you can just sit back, relax and enjoy the ride. Feel free to fill out our online quotation form so we can give you an estimate according to your requirements. You can also reach us on (02) 4058 2755 for more information or to discuss specific requests.